Paul O’Brien, a former Kilmainham Gaol guide, is the author of several successful books to date on key events of the Easter Rising, 1916, including “Blood on the Streets”, “Uncommon Valour”, “Shootout”, “Fields of Fire” and “Crossfire” and other Irish historical military actions. 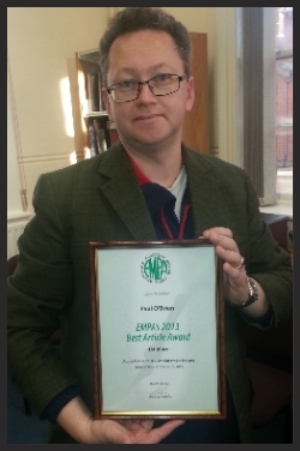 Paul has written several books for us (see list at right) and has more planned, as well as being a regular contributor to military/ history publications including An Cosantóir, The Defence Forces Magazine, and is available to provide research, guided tours of the Rising battlefields and talks on the military aspects of the 1916 Rising. He has also given guided tours of the battle site at Mount Street in Dublin (which his first book covers) and of Bully’s Acre graveyard. For further enquiries about these Paul may be contacted directly through his website here. Currently living in Dublin with his wife Marian, baby and cats, Paul holds an M.A. in History. Paul has conducted detailed research for a number of projects that span many centuries of history and include graveyards, churches, battlefields, prisons and much more. He has appeared on national radio and television in programmes such as “Who Do You Think You Are” alongside Diarmuid Gavin on his quest to find his family history. Bridge 1916, The South Dublin Union 1916, The Four Courts & North King Street 1916, The Burning of the Custom House in the War of Independence 1921 etc. 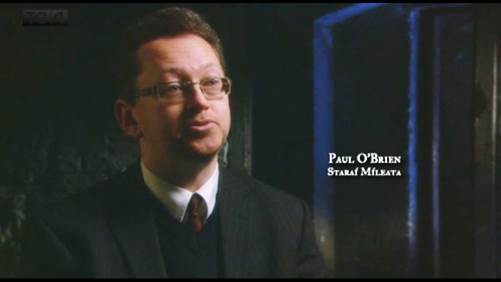 Recently Paul was involved in the making of "A terrible Beauty/Aille an Uafais”, a 90 minute feature docudrama set during the Irish Rebellion of 1916 by Tile Films which has been widely acclaimed. This was recently shown on TG4 and is now being shown with great success at film festivals around the world before going on the cinema circuit. (See our article here). Paul's latest book - "A Question of Duty: The Curragh Incident" - is now available. 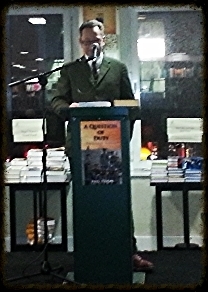 The book is about the Curragh incident or "Mutiny" in 1914 when British Army officers refused to accept orders to deploy in Ulster, and was launched in Hodges Figgis bookshop in Dublin, a wonderful venue for booklaunches. Published by New Island History, this book is one of Paul's best to date and his passion for the subject shines through. As with all of his books, he explains his subject clearly, lucidly and with excitement and we can recommend this to all. 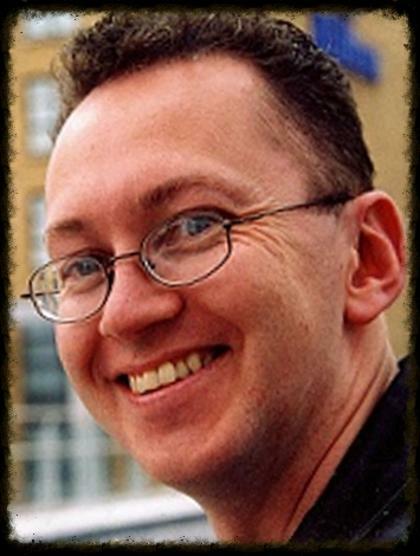 See his website here for more about Paul and a full list of his publications to date. Paul also took the opportunity to pay a fine tribute to his friend Shane MacThomais who had, tragically, died that day. Below is Paul's wife Marian with their baby. 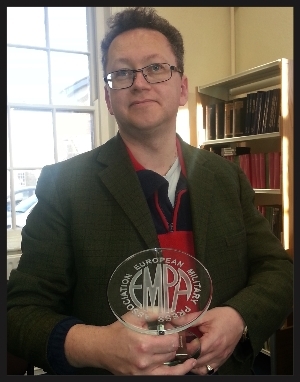 Paul O’Brien MA, Kilmainham Tales author, has been awarded a prestigious international writing award – the European Military Press Association's (EMPA) 'Best Article 2013' award. 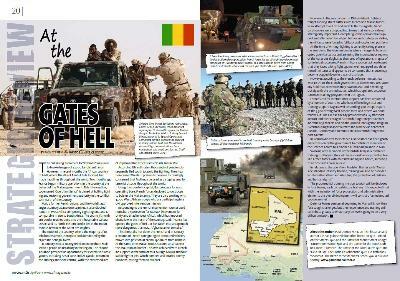 Author and military historian Paul O'Brien’s winning article was “At the Gates of Hell – Mali”, and published in the April 2013 issue of An Cosantoir. The article can be seen below and read here. 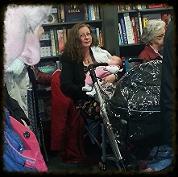 Proof again, if it was needed, that Kilmainham Tales authors are the best!